Discover the Paris Perfect story and meet our dedicated and passionate team. Crafting perfect Paris vacations for more than 20 years, we are dedicated to making your stay unforgettable! Paris Perfect brings you the essence of fine Parisian living. Our goal is to offer you an unforgettable experience in the most beautiful city in the world for a Paris vacation you’ll remember for a lifetime! From the best locations and apartments that say welcome the moment you step in the door to our friendly and knowledgeable team, we will guide you every step of the way to plan your perfect vacation. Your Paris Perfect experience begins with where you stay, and we offer you a warm home in the heart of Paris. Each of our apartments is carefully hand picked to ensure it meets our high standards, including beautiful décor and outstanding locations in authentic Parisian neighborhoods. When you’ve booked, the adventure begins! We open our address book and share our favorite Paris resources with you to help you plan and enjoy your stay – from excellent tour guides to cooking classes, private chefs, favorite restaurants and cafés to the best pastry shops in the neighborhood. Relax, explore and enjoy the best of the Parisian lifestyle. Time is the most precious asset, especially on vacation with people you love. With Paris Perfect, we’ll take the stress out of holiday planning and help you make your Paris stay perfect! Our company began 20 years ago when Frenchman and former cardiac surgeon Philippe traded in the operating room for more entrepreneurial pursuits. He had met his energetic American wife Madelyn on a skiing vacation in Switzerland. Maddy was a partner with an investment bank in London after receiving her MBA from Stanford Business School. They commuted between Maddy’s base in London and Philippe’s in Paris for several years, beginning their love for the Parisian and London lifestyle that was the foundation of Paris Perfect and soon after London Perfect. 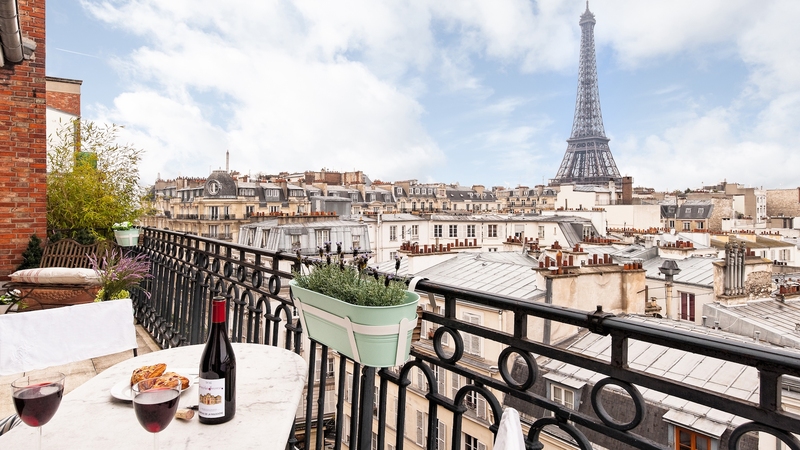 After discovering the delights of Paris and the French way of life, Maddy had the idea to share “la vie Parisienne” with others through vacation apartment rentals - and Paris Perfect was born! 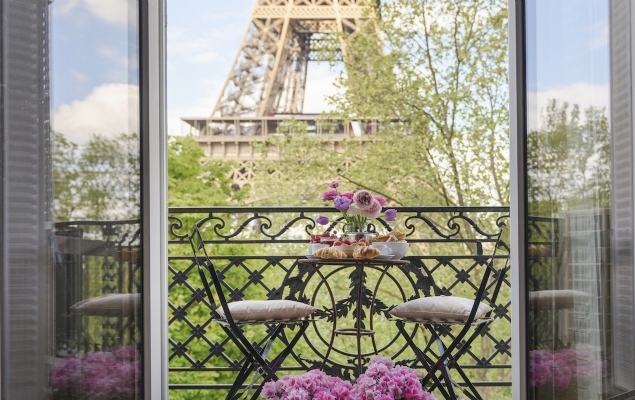 Knowing that apartment living was the most authentic way to experience the best of Paris, from savoring cafe au lait while watching the streets of Paris come to life in the morning to watch the Eiffel Tower sparkle at night from the comfort of bed, it was a natural fit to help travelers in search of a true Parisian experience find the perfect apartments. 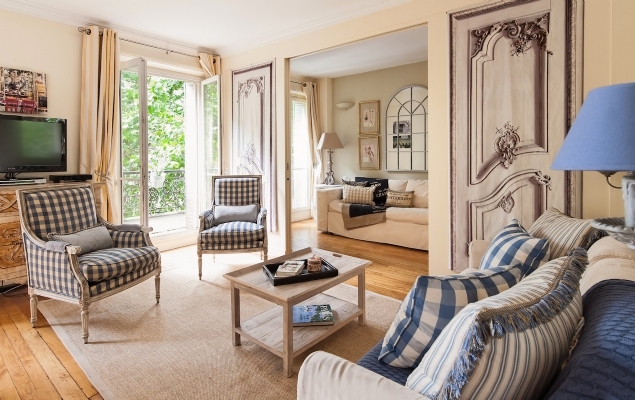 With a passion for finding the most beautiful vacation rentals, a focus on customer service, over 20 years of experience and a dedicated reservation team, Paris Perfect has become the most trusted vacation rental agency for Paris vacation apartments. 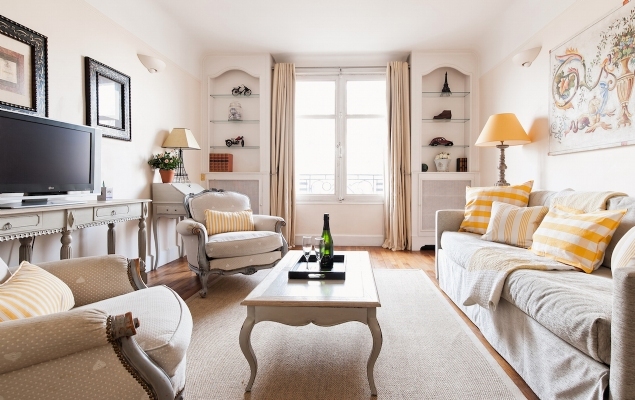 Over the years we have also developed an expertise in locating and remodeling apartments for former guests and new owners who fell in love with the Paris lifestyle and wanted to spend part of each year enjoying the City of Light. We have helped them find and create beautiful homes and valuable vacation rental properties. With a love of decorating, Maddy brings the desire to make every apartment a home and is always on the lookout for incredible Paris properties to help owner’s remodel and transform fixer-upper apartments into stunning homes in Paris. Always an innovative team, Maddy, and Philippe are thrilled with the new and exciting directions for Paris Perfect to come. 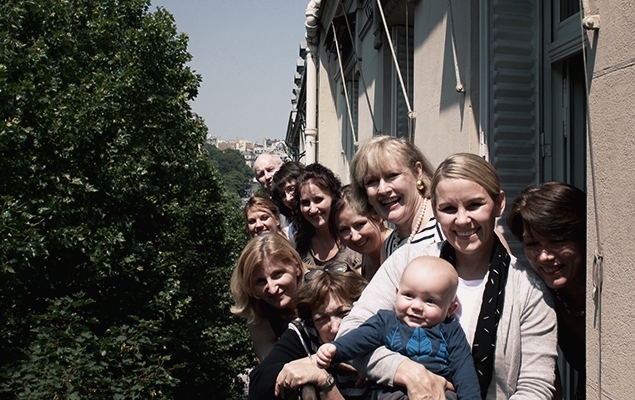 Yet the passion for sharing the beauty of Paris with guests from around the world remains the core of everything we do! We are fortunate to have an incredible group of professionals dedicated to creating a perfect Paris stay from start to finish for our guests. On average our contractors have been with us over 7 years, and we still feel like a family company. The Reservations Department can guide you to the Paris apartment that will best suit your needs while our affiliation with a tour planning service offers special rates to Paris Perfect guests for itinerary planning, booking tours, cooking classes, excursions and restaurant reservations. Please contact the team for personalized help planning a vacation of a lifetime! We have had the good fortune to be praised by Travel + Leisure, Condé Nast Traveler, Rick Steves, The Fine Living Channel, The Wall Street Journal, HGTV’s House Hunters International, Afar and more. Yet what we value most are the reviews of our guests who have treasured their Paris Perfect experience. We invite you to read more of what our guests say after their stay with us! Read more Paris Perfect guest reviews here.